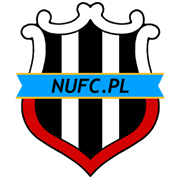 The organization of the fans of Newcastle United was set up a few years ago in one of the forums of the then unofficial site of its supporters. With the advent of Facebook new and new geordies appeared and exchanged their impressions, partialities and what not related to their favourite team. As a result the first formal group of supporters of Newcastle United appeared – Newcastle United Bulgaria. Things became serious, people had ideas which we gradually started to make come true. We even had two football matches with the fan clubs of Manchester United and of Suntherland in Sofia in “Bauhaus Arena”. In the future we plan to have more events like this in order to make the fan club popular all over the country. When there is a football match fans come together in Sofia pubs – “Murphy’s” and “Irish Harp”. We organise these gatherings through our Facebook group. Unfortunately our fans from the country cannot be present. At the beginning of November the first official national meeting of Newcastle United Bulgaria was held in the town of Stara Zagora. How can you become one of us? It‘s easy – just find us in FB or write an email to us at newcastlebg@gmail.com , and the information which is needed is your full name and the town/city you come from in Cyrillic and Latin script. The annual membership fee is 20 levs, it is for the calender year of 2014, and so you will get your club card. We are gaining momentum so the best lies ahead !! !